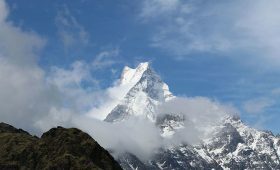 In addition to providing some of the world’s best trekking adventures in the highlands of Himalayas, Nepal also serves you with a wide range of luxury tours that are ideal for a perfect vacation. Nepal is a land of diversity in terms of language, culture, ethnicity, tradition, food, landscape, the flora and fauna. There is a lot more you can experience than what you expect during your tour. People from around the world visit this part of the civilization for a rare and beautiful experience. Blessed with the incredible natural beauty, glorious history, historical monuments, religious symphony and eclectic diversity within such small area, makes it one of the go-to places. It is an amazing destination for tourists. From visiting the religious pilgrimages, cultural heritages to sightseeing, everything will add a peculiar joy to your senses. Luxury tours are one of the most desired tour packages in Nepal. Both local and international visitors take the pleasure in visiting the renowned tourist spots for recreational activities. The delicious foods and warm, welcoming hospitality of the people will make you craving for more and more. Like the name suggests, luxury tours in Nepal offers comfortable tour packages for visitors who are looking to enjoy their holidays in style. At Basecamp Adventures, we have a wide range of sightseeing tours package inside and out of Kathmandu valley. 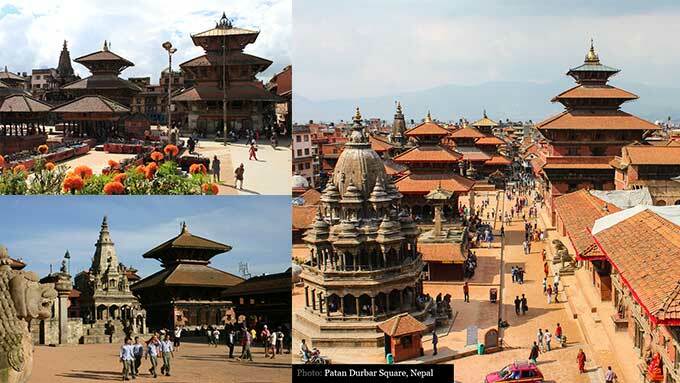 The valley tour includes exploring of major ancient cities of Kathmandu, Bhaktapur, and Patan. Likewise, for out of the valley, we have packages that include a trip to other interesting places like Pokhara, Chitwan, Lumbini, Gorkha, Bandipur, Nagarkot, Dhulikhel and much more. The travel packages can be planned and scheduled as per the availability and interests of the traveler. We also offer you with classic tours and weekend hikes to help you closely explore the incredible nature. Whether you have an inclination towards art or prefer to enjoy the majestic view of cultural extravaganza. Or you could be just looking to spend some quality time, enjoying and relaxing with family and loved ones. We have got you back. Luxury Tours in Nepal offers standard luxury tour packages for a comfortable and well-facilitated stay in Nepal. Only the best you deserve. Listed below are some available luxury tour packages that we are currently offer at Basecamp Adventures. Nepal Historic Tours are designed to put a spotlight on some of the historical landmarks of Nepal. This package is dedicated for explorers who would like to closely examine the beauty of ancient Nepali culture and civilization. The ancient temples, stupas, monasteries, monuments, long inherited culture, festivals, ethnic groups and everything related to the history will be introduced to you. 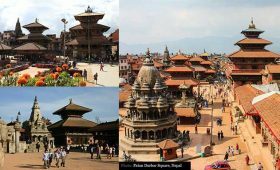 Visit Historic Kathmandu Valley – home to the renowned world heritage sites like Bhaktapur durbar square, Patan Durbar square, Changu Narayan temple, Swayambhu, etc. Visit Gorkha – from where the unification of Nepal started. Visit Lumbini – the birthplace of Gautam Buddha, ‘The light of Asia’. This is one of the most popular tours in Nepal. Also known as the ‘Golden Triangle Tour’, it gives you a memorable trip to top three most visited tourist destination. Scenic place, natural beauty, cultural richness, mouth-watering cuisines, great hospitality are some of the major focuses of this travel package. This is a special Kathmandu Nagarkot Tour package that takes you to the lively and colorful places of Kathmandu and Nagarkot. These are amazing places rich in culture, religion, and tradition. This dedicated luxury tour is specially designed to offer you a great opportunity to explore authentic rustic Nepal while enjoying the captivating view of great Himalayas. Nepal Classic Tour is quite popular package. It covers visiting most of the places desired by the tourist, internal and international. The tour starts with a couple of site visits inside Kathmandu valley, followed by an overnight stay at the viewpoint of Nagarkot rejoicing the scenic beauty of the Mountains. 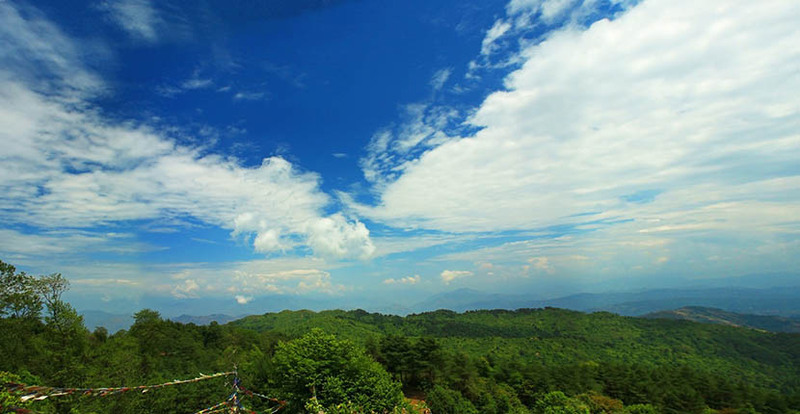 Nagarkot is one of the most popular tourist destination. It is peaceful and serene. Then we head towards the city of lakes, 6 hours drive. Pokhara is a beautiful city stuffed with the goodness of nature. 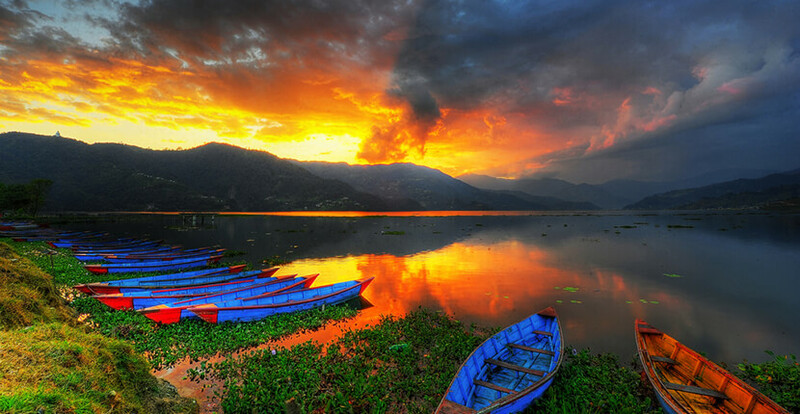 If you’re visiting Pokhara for the first time, you will definitely get mesmerized by its beauty. Then the tour further extends with an awesome Himalayan panorama tour around Pokhara. An easy hike to the beautiful Gurung village, overnight rafting trip towards Chitwan National Park over the Seti River, Forest Safari around the jungles of Chitwan National Park are some other exciting parts of this tour. Day 01: Arrival at Tribhuvan International Airport, Kathmandu. Overnight accommodation in a well facilitated Hotel. Day 05: Drive from Pokhara to Nayapul followed by a short trek to Ghandruk. Overnight stay in a Guest House at Ghandruk. Day 06: Trek from Ghandruk to Ghorepani. Stay overnight in Guest House at Ghorepani. Day 07: Trek back from Ghorepani to Nayapul and then a road trip to Pokhara. Day 09: a Fun filled day at Chitwan National Park. Sneak-peak around the hustling and bustling city of Kathmandu is an amazing experience in itself. The culturally diverse city has rich and magnificent architecture. You’ll find enough temples and monasteries that ooze in typical authentic Nepali essence. 7 out of 9 UNESCO listed world heritage sites in Nepal is within Kathmandu. You’ll be visiting all seven of them in the Kathmandu City Tour. The typical Newari habitats, food, culture, tradition, community, etc. can be closely observed while walking in the alleys of rustic Kathmandu, Lalitpur, and Bhaktapur. Nepal is one of the ideal places for wonderful family vacations. A good fit travel destination for all age groups, Nepal has something to offer to everyone. Family trips are a great way to strengthen the bond between one another. These packages keep in mind the requirement of a family and we make sure you spend quality time with your family in luxury. We take care of the lodging to make it as comfortable as possible. Most importantly we will keep the safety of you and your children the first priority. For family visits, we offer Family trekking, climbing, rafting, excursion, jungle safari, mountain flight and many more adventures. Your children will equally enjoy as much as you do. You need not have to worry about the tour not being suitable for your kids. Nepal is an amazing Honeymoon destination for newly married or engaged couples. The beautiful hill stations, astonishing viewpoints, vibrant mountains, romantic lakesides, all can be amazing catalysts for a perfect beginning of a new relationship. The bright and colorful Nepali culture, mouth-watering cuisines, typical lifestyle, welcoming hospitality of people are factors encouraging more couples to travel to this part of the world. Honeymoon steals a lifetime memory and therefore, it deserves to be the best part of every married life. So, we’ve tried to make it bit more beautiful for you with the exciting and enjoyable honeymoon package. With this Honeymoon travel package, you will get the opportunity to explore the ancient cities, culture, and history, while enjoying the scenic beauty of nature. Plants, animals, rivers, sunrise/sunset, glorious mountains all will add a different flavor to your travel-buds. Kathmandu, Nagarkot, Dhulikhel, Pokhara, Chitwan etc can be ideal places for your Honeymoon Diaries. Nepal can be a perfect holiday destination for your upcoming vacations. The land of Himalayas awaits your cordial presence to embrace you with world-class service. We assure to provide you with one of the best travel memories. You are definitely going to rejoice every bit of the time you will spend here. Note: In addition to all the above-mentioned packages, we can also provide you with enough flexibility to customize your own package based on your interest, schedule and time frames. If you’d like to discuss further on the available packages or are seeking for a tailored service, feel free to contact us anytime. We’d be more than happy to help.